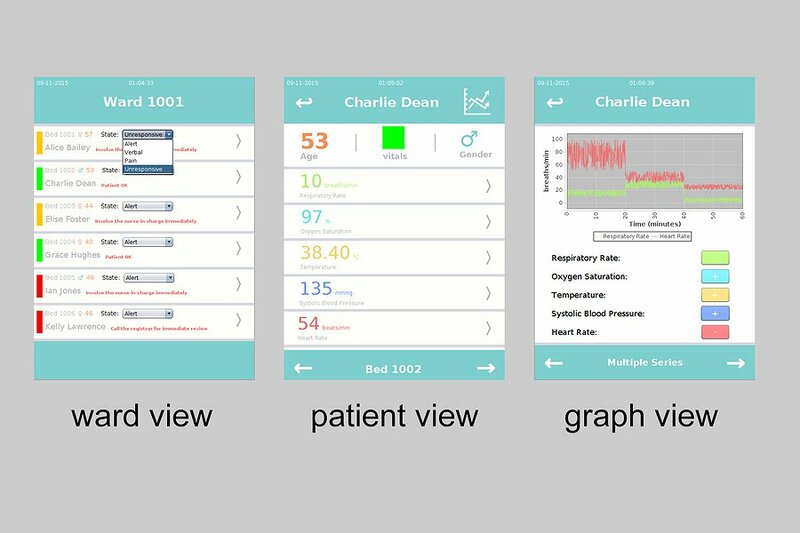 The aim of this was to design and implement a user interface for a tablet for viewing the vital signs of the patients monitored by wireless sensors in a hospital ward of the future. The scope was to build something for nurses to record at regular intervals clinical observations of the patient’s vital signs in a chart. This data is used to compute a partial Standardised Early Warning System (pSEWS) score which when combined with observations of the patient’s stimulus-induced responses results in the final SEWS score. The value of the SEWS score informs the actions of the medical staff. I used simulated live data to allow use of the application in realtime. My report can be read in the link above.